Hoang came to GoFundMe to help grow the company and realise its mission of bringing together friends, family and community to help one another. 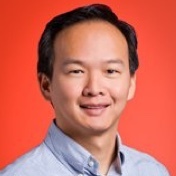 Hoang has served in leadership roles at many fast-growth consumer internet startups. Previously, he was an Entrepreneur-in-Residence at Benchmark Capital. Prior to that, he was VP and General Manager of Intuit Demandforce and was CFO of Demandforce prior to its acquisition by Intuit. 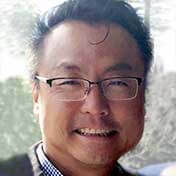 In addition, Hoang was CEO at Unisfair, CFO at SideStep, Inc. and held management positions at NetIQ and Deloitte. He is an inactive Certified Public Accountant and earned a Bachelor’s of Science Degree in Accounting from the University of Southern California. 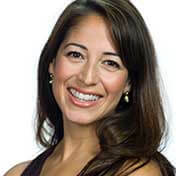 Raquel Rozas joined GoFundMe to establish the marketing function and scale the business through a combination of brand, content and performance marketing. As a former Procter & Gamble executive, she brings more than 10 years of innovation and brand building experience, delivering top-line growth on multi-billion dollar businesses such as Secret® and Tide®. Most recently, as the Associate Brand Director for front-end innovation, Raquel was in charge of leading disruptive technologies and business models for P&G’s Global Fabric Care business. While running the Tide® business, Raquel oversaw the transformation of P&G’s laundry category with the launch of Tide PODS™ followed by the launch of Tide Simply Clean and Fresh™. She has a Master’s degree in Electrical Engineering and received her MBA from the Kellogg School of Management. Chi-Chao joined GoFundMe to help build new products and scale the platform for hundreds of millions of engaged donors and tens of millions of campaigns every year. He has over 18 years experience managing product, engineering and data science teams. Most recently he was at Facebook where he helped quadruple overall search quality and engagement. After finishing a PhD in Computer Science from Cornell University, he started his 11-year career at Yahoo working in search and advertising engineering, and eventually ran its search business for two years. 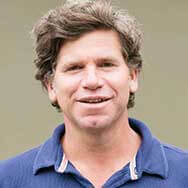 He also held senior executive roles in several start-ups. He is currently a board director at AISense and Peninsula Bridge, a leading non-profit organization that supports underserved students in the Bay Area. Danny seeks to build GoFundMe into a universally known and trusted brand for social fundraising and empower the culture of giving. He was responsible for developing GoFundMe’s policies and technologies to build and enforce layers of trust between GoFundMe, its users and third party stakeholders. Before joining GoFundMe, Danny most recently counselled global product teams at Visa. Prior to Visa, he clerked for the Hon. 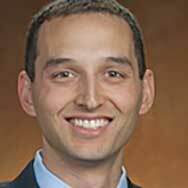 Monroe G. McKay of the Tenth Circuit and practiced at the San Francisco boutique law firm Keker, Van Nest & Peters. He earned his law degree from Stanford Law School and his bachelor’s degree from the University of California, Berkeley. Between his undergraduate degree and law school, Danny served as a Captain in the United States Marine Corps.